Luxurious 1 bedroom newly refurbished apartment, with stunning 180 degree views of the harbour, sea and the island of Fuerteventura. Modern and bright apartment with a balcony overlooking the harbour with 180 degree sea views. It has a quiet, safe, secure yet convenient location just minutes from the shopping centre, restaurants and bars. It comes with its own communal swimming pool, terraces and ample sun loungers for you to soak up the sun all day! Or a 5 minutes walk to the beach. The complex is well situated in the Old Town and is a 3 minute walk away from the harbour restaurants, bars and shops. The main beach is 10 minutes walk and a smaller beach 5 minute walk. All water sports are catered for and a ferry leaves regularly to the marina at Puerto Calero. In the harbour you can take part in boat trips, diving, dolphin and whale spotting, fishing, sailing submarine safari and all water sports are catered for here. 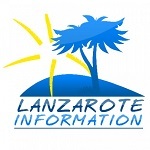 The main sandy beach in Lanzarote is located approx 5 minutes walk away. Very clean with beach beds etc. The beach is approx 3-4 km long with beautiful walks, from apartment. Restaurant is few minutes away and shop is less than 2 minutes from the complex. 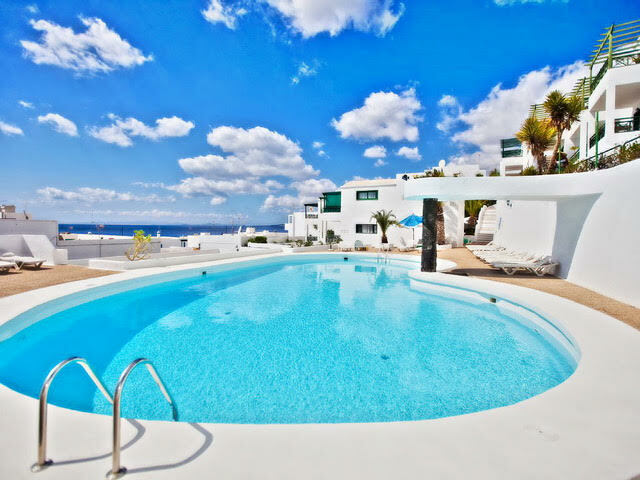 The apartments are in a privately owned complex in Puerto del Carmen, with communal swimming pool and sunbeds. The washing machine is available for use for stays over 15 days. €69 per night all year round.